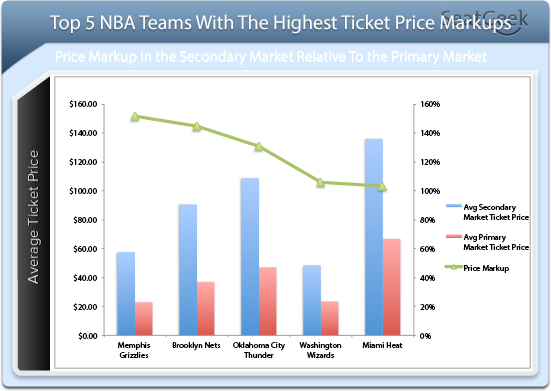 If there’s one thing we believe here at SeatGeek, it’s that ticketing data contains rich information. Not only on a team’s prominence in a sport, but also the loyalty and sentiment of it’s fanbase. 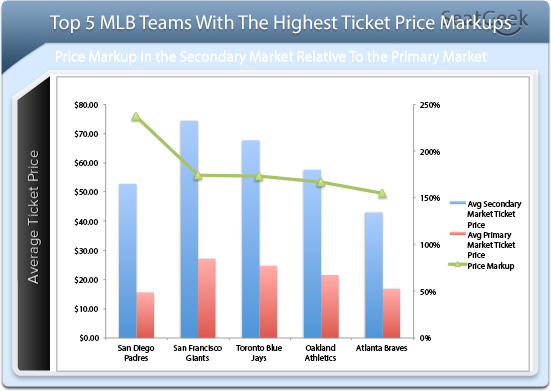 Do the most successful teams have the highest ticket prices? Which teams have the most loyal fanbase (measured in terms of attendance)? Which team’s fans are willing to shell out the most money to attend home games? 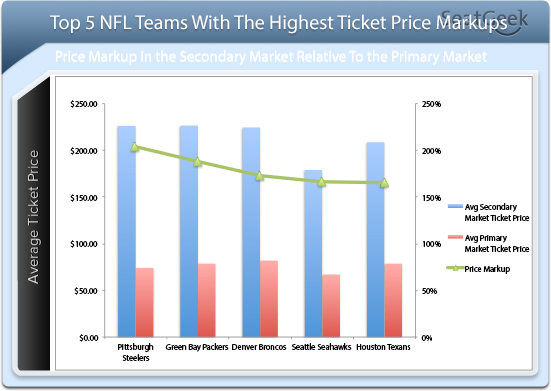 In this post, we are going to attempt to answer the last question by calculating a team’s average ticket pricing markup in the secondary market relative to the average face value in the primary market. In particular, we will be focusing this analysis on teams in each of the four major sports league: NBA, NFL, MLB and NHL. Something’s brewing up in San Diego as Padres fan are willing to pay an astonishing higher premium for tickets, even relative to the second-placed Giants. Write to us – we would love to hear your opinions on these findings. 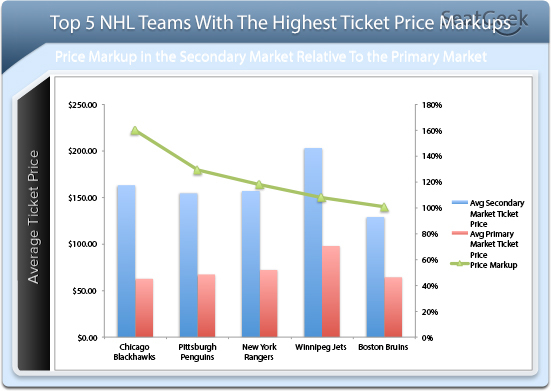 Why do you think these teams’ fans are willing to pay such high premiums? Do you think the data are accurate portrayals of fan sentiment?